The role reports directly into the Head of Reserving. Principal tasks will revolve around the quarterly reserving process. 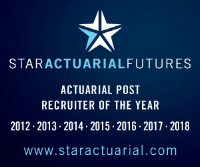 The person will be responsible for the delivery of actuarial output to the stakeholders (e.g. senior management, other departments, Lloyd’s). The ideal candidate will have significant experience in managing financial processes. Good knowledge of GI Reserving would be advantageous. This role offers high visibility and requires very good communication skills.